Future Proof – Protecting our digital future » We’re all in DRAG! No man (or woman) is an island and the Future Proof team is certainly no exception. If we are going to develop tools and guidance that will help NSW government to build better digital recordkeeping systems and strategies, we need to make sure that we understand the needs of the sector. To that end we formed ‘DRAG’ in January 2007. No, there are no stilettos or false eyelashes (well only occasionally). DRAG – or the Digital Records Advisory Group – has a serious purpose. test digital records and archives solutions. As this busy year draws to a close we’d like to extend a big thank you to our fabulous DRAG members for all their time and expertise this year. 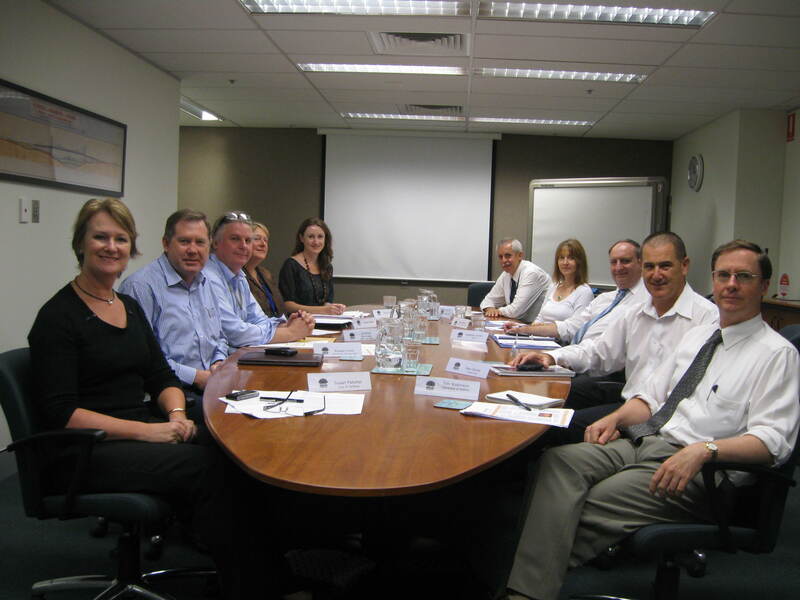 In the photo, L-R: Susan Fletcher, City of Sydney; Russell Smith, Community Services; Jonathan Summers, Public Works; Amanda Barber, State Records; Cassie Findlay, State Records; Jim Sinclair, State Records; Petra Herrlich, NSW Ambulance Service; Stephen Smith, DSTA; Ken Carroll, Transgrid; Tim Robinson, University of Sydney. Not present: John Burke, State Records (Chair); Peter Konstantin, Corrective Services; Michael Landsbergen, NSW Ambulance Service; Lesley Alexander, DSTA; Greg Jackson, Hunter New England AHS; Catherine Sykes, Ministry of Transport; Margaret Miller, ServiceFirst.